The Schlage’s classy Century Rosette is available with any of the knob and levers shown. You can choose from several finishes. See all of Schlage’s knobs and levers here. If you read the last post, you should know that Schlage now has a decorative collection. Great for sprucing up those doors! The Brookshire Rosette, can be ordered with any of the 3 levers or the Georgian knob shown above. They are all available in several finishes as well as 4 functions. Schlage has come out with a collection of decorative rosettes to fancy up your door. 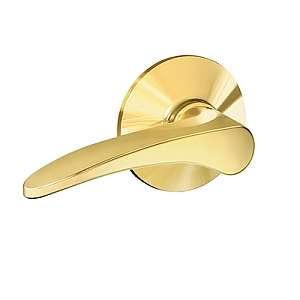 Check out all the door knobs and levers available with the Addison Rosette. These door knobs and levers with Addison rosette are all available in several finishes… Like the bright chrome, bright brass, aged bronze and satin nickel, just to name a few. Come check out all of the knobs and levers here and here. Some of these might not yet be on the website, so please give us a call and we can place your order over the phone. This 4005 set is shown with the L2 Lever and in the Silver Patina finish. What’s so great about a Taamba exterior or interior set is that you can order it with different levers or knobs and in 2 different finishes, Dark Bronze or Golden Honey. What’s the difference between a privacy and a keyed (or entrance) knob? I know it might seem really confusing, but once you understand both functions, it will be a cinch. 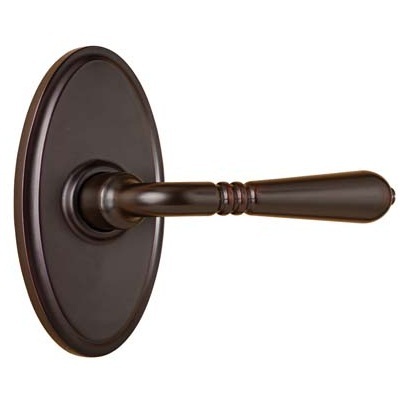 A privacy knob or lever would be something you would probably use on a bathroom or bedroom door. Depending on the brand, it will have a push or turn button on the inside door knob. Or sometimes there will be a pin on the inside rosette. These buttons will lock the knob in place until turning the knob or lever, which releases the pin. It generally has a hole on the outside where you can insert generic tool, or your wife’s bobby pin, to pop open the lock. Push or turn piece on inside. A keyed entrance function would generally be used on a front or back door, or any exterior door. It has a keyed cylinder on the outside where you would need to use a key to unlock and lock. The keyed functions have a turn button on the inside, similar to the privacy lock. This type of function is made for doors where security is a concern, where no one is able to enter without a key when door is locked from either the inside turn button or from locking it with a key from the outside. Keyed on the outside, turn button on inside. Just think, privacy function would be for a door where you would want to be able to lock it for a little privacy, like on a bathroom door. And a keyed or entrance function would be used on an entry or entrance door with a key. Simple as that! Give us a call if you have any questions, we would be glad to help!